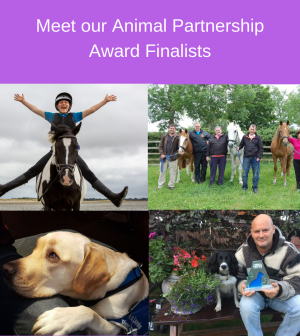 The Animal Partnership Award is generously sponsored by Pets at Home. This Award is in recognition of the unique companionship and support provided by animal partners and the achievements of organisations who support the Armed Forces Community. The Winner is decided by a public vote; this vote has now closed. June Burgess is a competitive Grand Prix rider whose “retirement home” for horses in Northern Ireland provides horse-assisted workshops for wounded and sick Veterans suffering with post-traumatic stress disorder. June focuses on life skills, employing equine therapy and mindfulness in order to improve relationships and create a happier life. An energetic supporter of Veterans’ welfare, June enables people to look forward to the future. 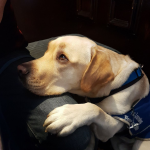 Bravehound pairs dogs to Veterans suffering with post-traumatic stress disorder and other injuries, providing constant companionship and enabling Veterans who have been isolated to be involved in the wider community again. The dogs often give their human partners confidence and a reason for living, playing a vital role in the prevention of suicide rates among Veterans. The pair truly become a lifelong partnership. Ex Combat Army medic Richard Mearns was diagnosed with PTSD in 2009, and was suicidal until he found Ziggy. 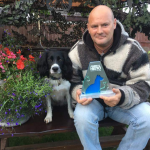 Placed with his ‘wonder dog’ in 2016 by Veterans with Dogs, Ziggy wakes Richard from flashbacks and enables him to commute on a busy rush hour train. With Ziggy’s help, Richard has gone from strength to strength, and is now able to encourage others to talk about their mental health issues. A hub for the RMAS community, Brunei Stables gives military dependants the opportunity to learn to ride at a discounted rate. 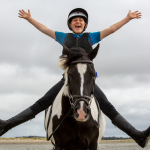 Equestrian packages are provided for Battle Back – a charity that supports injured personnel from across the Armed Forces, providing a safe environment for Veterans to continue to enjoy to ride, or to learn. 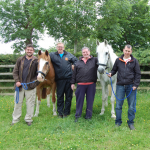 Riders also benefit from working with horses as part of their physical and mental rehabilitation.